If you’re looking for a good way to boost your kids’ oral hygiene routines, adding an extra brushing session in after meals is a good idea. However, it’s important to remember that when it comes to brushing, there can be too much of a good thing. Brushing regularly is vital for good oral health, and most dentists recommend brushing 2 – 3 times a day, for two minutes at a time. Brushing too much or too hard, however, can defeat the whole purpose of brushing: to have healthy teeth! Overbrushing can cause a variety of dental health problems, including tooth abrasion, sensitive teeth and receding gums. It may surprise you to learn that you should wait for about an hour after eating before you brush your teeth. This is because the acids in the foods we eat cause our tooth enamel to soften during meals. Brushing too soon after a meal could cause damage to your enamel because it will be softer than usual. Particularly if she has eaten something acidic, it’s a good idea to have your child simply rinse her mouth out with water directly after eating, rather than brushing straight away. 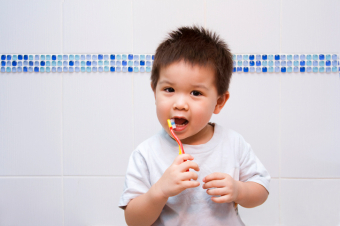 Electric toothbrushes have the dual benefits of helping kids brush more thoroughly and preventing overbrushing. This may seem counter-intuitive, but because electric toothbrushes do the actual brushing, users automatically don’t feel the need to press as hard when using them. You child can just guide the brush over her teeth and let it to all the work. 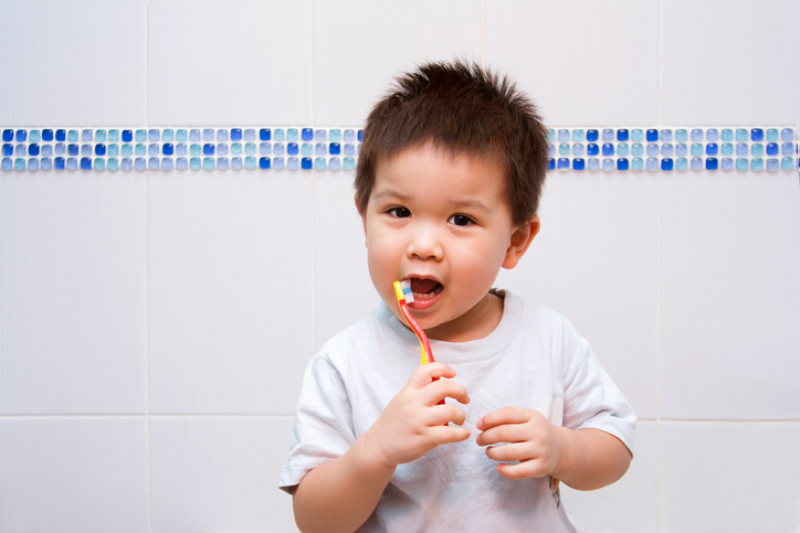 Brushing after meals can be a great addition to your child’s oral hygiene routine, but it’s important to proceed with caution. Contact our Langley children’s dentists today for more information.